26 July 2018 Unlocked content from the archive. 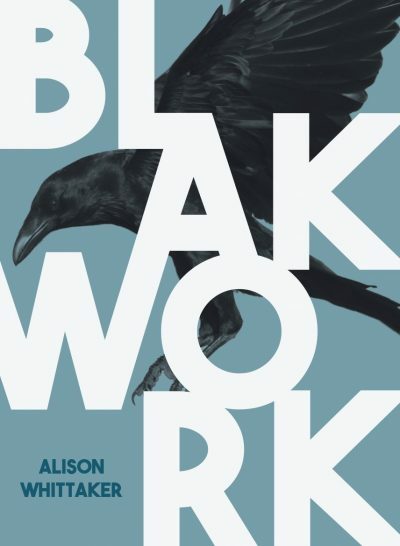 Alison Whittaker’s second book, Blakwork is a bold mix of poetry, micro-fiction, memoir and critique, and a follow-up to her award-wining debut poetry collection, Lemons in the Chicken Wire. A Gomeroi woman and Fulbright scholar, Whittaker’s writing draws on her experiences of growing up in rural Australia and her knowledge of Indigenous peoples, law, gender and sexuality under colonisation. Whittaker’s style is daring and experimental in some of her pieces, while familiar and comforting in others. Nostalgic memories of childhood and sensual odes to past loves sit alongside unflinching interrogations of Aboriginal rights, technology, academia and systemic racism. Whittaker has drawn on the strength of past generations to become a strong blak woman in contemporary Australia, and readers are gifted her insights into growing up blak. With a unique style of writing, she bravely unpacks themes such as colonisation and Aboriginal rights in Australia, which will appeal to upper-secondary and university students studying literature or Australian society. Readers looking for books that challenge stereotypes and redefine narratives will also connect with Blakwork’s exploration of Aboriginal and LGBTQIA+ identities.